What you're hearing is the sound of water from the Vltava River, as it flooded through the rooms of the old castle in Roztoky near Prague exactly two years ago. Roztoky was one of many Bohemian towns with a precious architectural heritage that suffered in the floods. 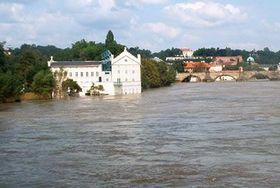 Floods in Prague Some hundred kilometers to the south the beautiful town of Cesky Krumlov, which is on the UNESCO list of World Heritage Sites, was among the first towns affected by the swelling Vltava River. 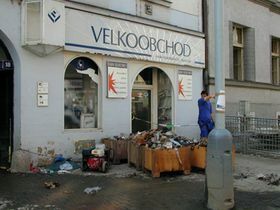 Ales Mik, from the town hall, however, says the town is used to similar events, and was therefore able to recover soon. "Historical center was flooded but these buildings were flooded also many times before during the last 300 years. So these buildings which are here today they stayed these 300 years and they resisted even now in the floods. What the people lost was the furnishing - all the furnishing up to the second floor. But in the center no building was lost." The biggest town in South Bohemia Ceske Budejovice is situated about 30 kilometers downriver. It also has an important historical core which was flooded, but today you wouldn't notice any trace of the damage. Another South Bohemian town Pisek, with its famous gothic bridge did not escape from the damaging effects of another river, the Otava. Even though the Stone Bridge was completely under water, it survived and the damage caused could be later repaired. The Baroque fortress town of Terezin, with its sad history of being used as a Nazi concentration camp, suffered the most. The whole town suddenly appeared in the middle of a huge lake. Terezin inhabitant Lenka Castlova was away on holiday at that time. "Two years ago when I came back from holiday it was just after the flood. There were many exhibitions around, so all of them were completely damaged. There was a terrible smell here. Some parts of the small fortress were completely flooded like the National Cemetery or a courtyard etc. Really many damages. At that time it seemed really impossible to have it back as it was, but then now - in two years time - we were able to reconstruct really everything here. All the furniture is back, of course not everything is original, the same wood. In the rooms inside there is completely new flooring, and the exhibitions are mainly done the same way as it was. I would say that it really looks the way it was before the flood." 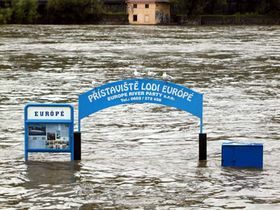 On August 13 the flood wave reached Prague. The head of the National Institute for Heritage Preservation, Josef Stulc lists the structures which were affected in the capital. "In Prague the water hit especially on the left bank, the very picturesque Kampa Island, and a number of baroque palaces situated near the river. For example Wallenstein Palace, one of the most prominent structures from the transitional period between renaissance and baroque, Nostic Palace - now seat of Ministry of Culture, Bequois Palace - now seat of the French embassy, the Palace of Grand Master of Malta order, and other highly interesting and important structures." I asked architect Martin Krise from the Old Prague Association to accompany me for a little walk through the Kampa Island and show me where the high water reached two years ago. "On the place we are standing it was about 2,5 meters, somewhere it was even more than 3 meters. It is visible on the Charles Bridge, because it was not mended yet, whereas the other houses they have new plaster. Sometimes we regret that the plaster is so new and very straight, and that it replaces rather good baroque plasters from the past. Now we are standing in front of a house which is the only one which was discussed from the point of view of the static. This house was long time empty and the breaks in the walls were the same before the floods as now. Now we succeeded to defend the house, but we will see in the future how the things will go." Kampa Right next to the house is the famous "John Lennon Wall" - the wall which was painted to commemorate John Lennon's death. Part of the wall was also torn down by the flood. Do you think it should be rebuilt? "I hope so. The square is beautiful and it is a bad luck that the wall is not here. There is a little niche with John Lennon's altar so I hope that they will build it again. Of course, the next house has the same wall, but better maintained, so it stayed. But the part of the wall which belonged to the house in front of us, collapsed due to the bad condition." At that time, two years ago, many people believed that the floods were very dangerous for Mala Strana that some of the houses might even collapse, but you don't seem to agree with that opinion? "No, I was sure that they don't collapse. The professionals around the monuments they knew the Mala Strana constructions. The Charles Bridge was very well reinforced by a concrete slab in the seventies and even Charles bridge survived very well." Are these houses so well built, do you think, that they resist any kind of high water? Mala Strana "Yes they are very well built. And also the ground, which is partly sand, partly clay, soaks the water very quickly. It was not like in Karlin for instance. Karlin was built on only about 200 years old ground which was put on the site and leveled. 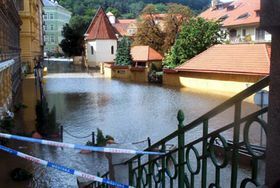 Karlin had a protection against the floods, so the water came through the sewage, whereas here in Mala Strana the water came slower, so it was not in current of water, it was just standing in water." Event though the right river bank in central Prague was protected by installed barriers, the water penetrated through the drains and damaged the interiors of the synagogues and museum in the old Jewish Town. As Josef Stulc points out, damage to the built heritage in general was not as damage to movable objects, like museum items, books or documents in libraries and archives. Some of these are irreplaceable by copies so the historians are making a great effort to restore them. 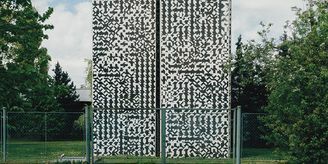 Karlin district "Sometimes are the archive items valuable as documents in itself, as authentic documents. Some of them are also hand writings of important people or signatures etc. 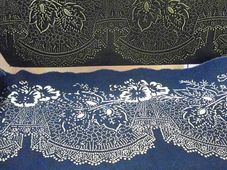 So in this case the restoration must be done very carefully by experienced and skilled restorers." 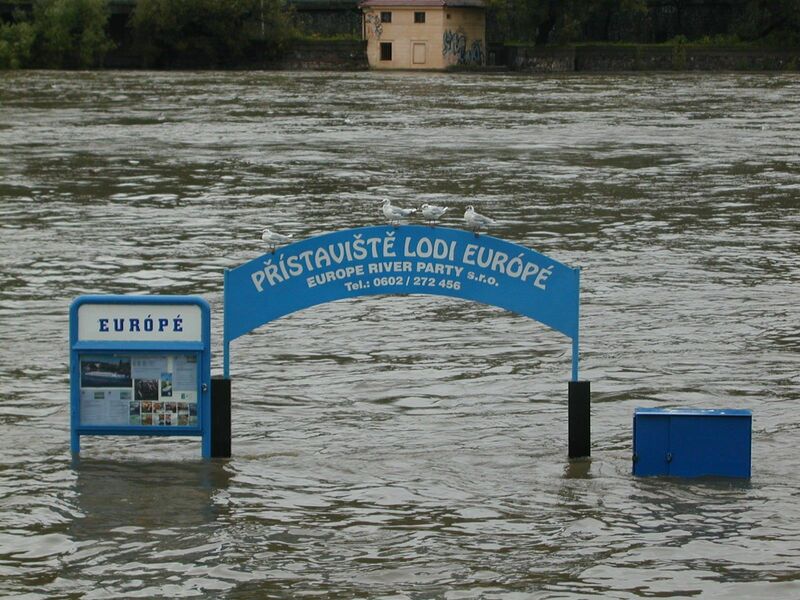 In order to save precious documents after the floods they had to be frozen. 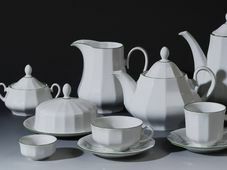 However, it later turned out, that this method was rather inefficient on a large scale. 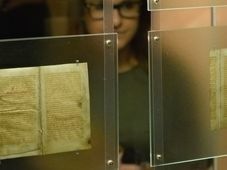 "It is estimated that especially the materials on paper - which were after the flood prevalently taken into deep freezers to conserve them - if they should be restored using the available capacities of restorers, this project would last at least 1.000 years." 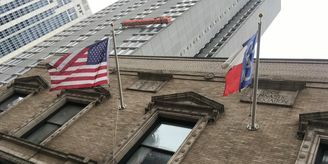 It is not only museum archives and documents that have still not recovered from the catastrophe. 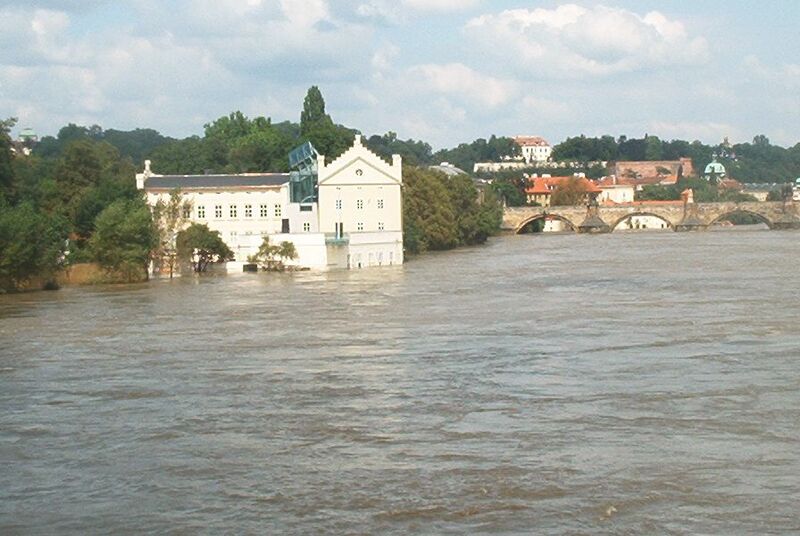 Many buildings which are not in the glare of tourist interest like small castles and country houses, and also the former working-class neighborhood of Karlin in Prague, are struggling with the floods consequences even two years after - and will be for many years to come, hoping that the disaster of August 2002 will never happen again.